In 1936, Carson McLane opened his own funeral home after working for John Sineath Undertakers, Inc. for over eight years. 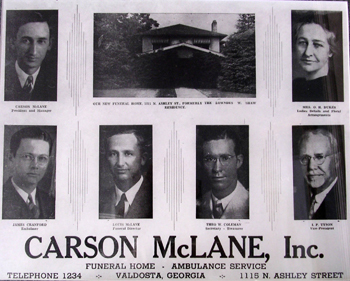 Carson had moved to Valdosta from Lake Park on April 1, 1928 to begin work as an undertaker. In 1936 Carson was encouraged to organize another funeral home to serve this area. Renovations to accommodate the funeral home were completed in February of 1937 and the first service conducted shortly after that time. An advertisement in the February 6, 1937 edition of the Valdosta Daily Times announced the opening of the new funeral home. A news article in that same paper said that this new business "will offer this section a highly refined and complete mortuary and ambulance service." The first phone number was 1234. The formal incorporation date was in December 1936. Carson McLane, Louis McLane, and Mrs. O.H. Dukes headed the early staff. The new company was soon in need of a larger facility as the community responded favorably to the new funeral home. One of the four funeral homes in the community had closed in 1937 due to the death of one of its owners. Acceptance of the company came in such numbers that it was recognized as the leader in number of families being served. 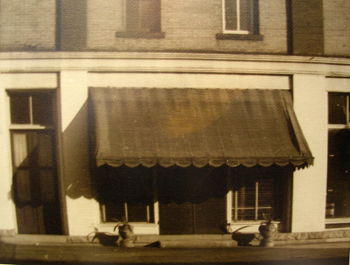 Carson McLane Funeral Home moved to a residential location in August 1940. 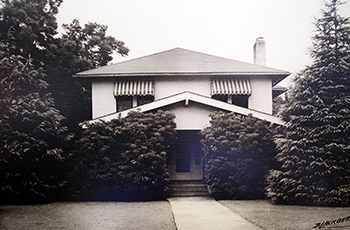 The Lowndes W. Shaw residence at 1115 North Ashley Street became available following Mr. Shaw's death in April of 1940. Mr. Shaw's funeral had been held at his family residence and was conducted by Carson McLane Funeral Home before it was purchased to be the funeral home. This new location provided a larger facility than the downtown location and allowed for ample off street parking. It was not long before there was a need for still larger facilities for Carson McLane Funeral Home. On April 1, 1943, the Briggs/ Dasher home on Patterson Street became available. Another funeral home that had been in that location ceased its operation as a funeral home. The location was immediately south of the First Presbyterian Church. Unfortunately, this beautiful building no longer exists. This stately two story colonial home provided more room to serve the increasing number of families requesting the services of Carson McLane. In the June 15, 1950 edition of the Valdosta Daily Times, a news headline proclaimed that a new funeral home facility was to be built on the outskirts of Valdosta. One significant difference in this announcement was that the facility was to be built from the ground up as a funeral home rather than remodeling an existing building. This new building for Carson McLane Funeral Home was one of the very first to be built specifically to be a funeral home in South Georgia. In April 1951, this new facility at 2215 N. Patterson Street was occupied amid an open house attended by hundreds of people. Because it was planned from the start as a funeral home, many unique features were included in its design to make it more convenient and functional for those who would use this facility. The Southern Funeral Director featured the new funeral home in its magazine shortly after the opening. Pictures and text told of the completeness of this modern facility. Over the years, several additions and renovations have taken place to increase the convenience to the public as needs in the community have grown and changed. Major space additions were made in 1963, 1966, 1975, 1985, and 1998. Other major improvements included additions to the parking area and internal changes to the original building to increase the convenience to the public as needs have changed. Recognizing the need for additional funeral related services to our community, McLane Funeral Services, Inc. purchased Riverview Memorial Gardens in 1979 to partner with the funeral home to provide a more complete service to our community. Riverview began as a cemetery in the late 1950’s as a memorial garden (grave markers rest flat on the ground), and included a small mausoleum when purchased by McLane Funeral Services in the late 70’s. Since our purchase of Riverview, much has been done to expand, beautify, and diversify what McLane Riverview Memorial Gardens offers to our community. Since our purchase, the Mausoleum has been completely remodeled and expanded, traditional upright monument sections have been added, and cremation niches and gardens have been added to what McLane Riverview has to offer. With more than two-thirds of our acreage yet to be developed, McLane Riverview will provide a final resting place for generations to come. Staff is always available to assist you in selecting an appropriate and permanent memorial and grave space. 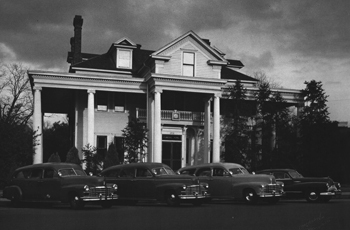 In 1950, Waldo and Mary Grace Martin built a funeral home to serve Hahira and surrounding areas. Mr. Martin worked for Carson McLane in Valdosta for several years before beginning his own funeral home. In the years that followed, the Martins and the McLanes maintained a close working relationship and personal friendship. Eventually, Waldo and Mary Grace were joined in the business by their son Cary Martin. In 1986, the two firms became one and we now carry on the traditions started by the Martin family to serve Hahira and surrounding communities. Martin/McLane Funeral Home underwent extensive remodeling in 2003-2004. The public areas were substantially enlarged and enhanced and redecorated along with the restrooms, selection areas, technical areas, as well as procession routes and landscaping. Our family and staff are committed to serving Hahira and surrounding communities with the most personal and professional service at a time when it is most needed by our friends and family. In 1988, Tyson McLane realized that the Lake Park area was a growing area. It was an area that his father and our founder, Carson McLane had grown up in, and an area that had no funeral home. After a search for appropriate and available locations, a former residence on a lake on the north side of town was located. This house and surrounding land, located at 3119 Marion Street (U.S. Hwy 41), was the perfect location to celebrate and remember the lives of loved ones and friends who have died. Surrounded by ancient oaks and overlooking a beautiful lake, McLane Lakewood Funeral Home is an ideal and convenient spot for families in the Lakes area, Statenville and Echols County, as well as Clyattville, Dasher and Northern Florida to gather to remember those who have died. This location offers a large and convenient parking lot, a beautiful and spacious visitation and chapel area, an area for children to play in and color, a glass porch overlooking the lake and many other comforts to offer families and the friends who support them. McLane Crematory was opened in January 1999 at our location in Valdosta. While McLane had provided cremation services for many years, having an onsite crematory provided many benefits to this area. McLane Crematory is an exclusive provider of the Cremation with Confidence Guarantee. Pets at Peace was started by McLane Funeral & Cremation Services in 2014. The options available to pet parents include a basic pet cremation package, memorial packages, or group cremation package. Families who would like to be served by Pets at Peace may come to our beautiful offices to make arrangements for the pets. Pets may be brought to Pets at Peace or a service to come to the families’ home is available. Arrangement may also be made with your local vet for Pets at Peace to serve you. Please request that your vet call Pets at Peace to serve you in the event of the loss of a beloved pet. Park Place is an old home that has been renovated to accommodate gatherings and life celebrations by McLane Funeral & Cremation Services. But the history of the home that is now Park Place began 110 years ago. The land that Park Place was built on was surveyed and subdivided in 1904. This parcel of land was at the crossroads, outside of town north of Valdosta. This old home was built was one block beyond the last trolley stop coming from downtown Valdosta. This trolley stop was at the fairgrounds for Lowndes County. The home was built a year or so later. We aren’t sure who built the house, but in 1921, J. J. Newman was listed as the owner of the home in the City Directory. He was President of Southern Stationary and on the school board at the time. Mr. Newman’s son told of going to work at the trolley and being paid a nickel for his labors. 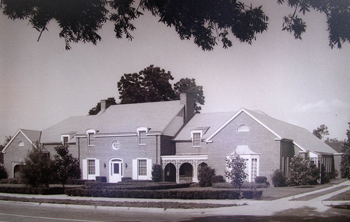 In 1923, the home was sold to William H. Oliver, who also took over as President of Southern Stationary. The Oliver’s sold the home to the W. H. Mobley, Jr. family in 1946. The Mobley family lived in the home for many years. Mrs. W. H. Mobley continued to live in the home following her husband’s death in the early 1960s. Many long time Valdostan’s have fond memories of Mrs. Mobley, visiting the home, and friends who lived there during the time that part of the home was rented as apartments. In 1995, Mr. W.H. “Bill” Mobley, III, purchased the home from his mother’s estate. Bill Mobley passed away in 2010, and his widow began to consider selling the home. We thought it would be an appropriate location for families to share a meal with friends. This meal, during funeral proceedings, had often been held at churches. But now days, that is not always an option. We felt that purchasing Park Place would be the perfect opportunity to preserve an old home, continue the tradition of gatherings in this beautiful location and provide an important service to the families that we serve. Park Place was purchased in December of 2015. Renovations to the home would include rewiring of the home, replacing wood, removing a wall to accommodate larger gatherings, renovated bathrooms, refinished the beautiful old heart pine floors and painted everything. We chose local artists to complement the beauty of looking out the old rolled glass windows at the mature landscaping. We repaired the deck on the back of the house and added a gently sloping ramp so that all are accommodated. We opened in October 2016 to host events for whatever life celebration a family may be planning. From baby showers, to funerals and memorials, to wedding receptions, class reunions or business meetings. We are so grateful to have been a part of this community for over 80 years, and we look forward to celebrating life for many more years in many different ways.